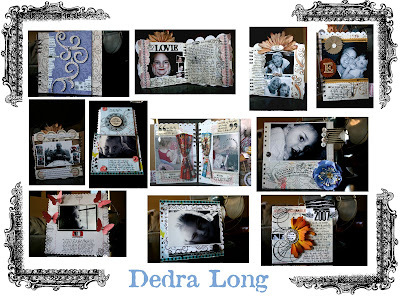 Well, Dedra blew us away with her projects from the August kit (and we already have them - talk about fast, huh?)! 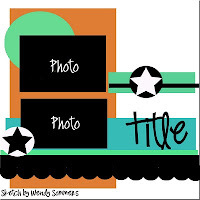 They are posted on the website in the gallery and they are also in the slide to the right. Please join us in welcoming Dedra and oohhing and aaahhing over her work! CHA PHOTOS . . . . .
We are having a great time - so much stuff to look at . . . just pure eye candy! Enjoy! Well, Michelle and I are off to CHA on Thursday! So excited! We can't wait to see all of the new stuff and meet (in person) some of the wonderful people we have met online! We are also going to meet face-to-face with Meredith and Patti (2 of the wonderful DT members) for the first time! How cool is that? And as always with the shows, we will be taking LOTS of photos and downloading the photos every night to the blog! So - keep checking back! The New Design Team Member has been chosen . . . .
Congratualations Dedra! We are so excited to have you as part of the AMM Design Team! 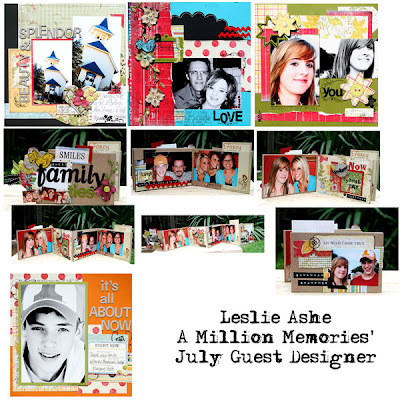 Thank you so so so so much Leslie for being our guest designer this month . . . . . you ROCK! We love everything you did! Hope you come back soon!